The UK Government has introduced to Parliament the Trade Union Bill which seeks to restrict the activities of trade unions. The proposed measures include: placing a range of additional administrative burdens on unions; limiting the right to strike; and allowing agency workers to be used to break strikes. Facility Time: Facility time allows trained trade union representatives to spend some of their working day supporting and representing members with individual problems, working with managers to head–off possible disputes, making workplaces safer and promoting learning opportunities, all of which benefits both the employer and the employee. The bill requires employers to report on how much facility time has been agreed with unions. The Bill also contains a reserve power that would allow a Minister to cap arbitrarily the level of facility time employers are permitted to agree. Payment of Union Subs via payroll: The Bill allows the Government to outlaw the use of Check-off or Deduction of Contributions at Source (DOCAS) systems for trade union subscriptions. Payroll deductions are used in a variety of ways by employers, with the consent of their employees, and can include deductions for charitable giving, pension contributions and bike loans. At present the Government is proposing only to prevent union subscriptions being paid through the payroll, and not looking at any of the other deductions made. 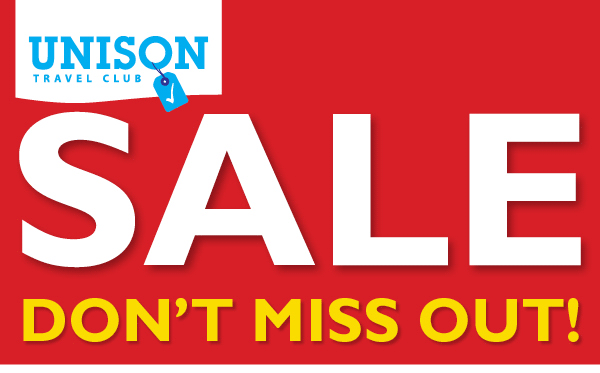 Join the campaign against the un-necessary, anti-democratic and bureaucratic Trade Union Bill. 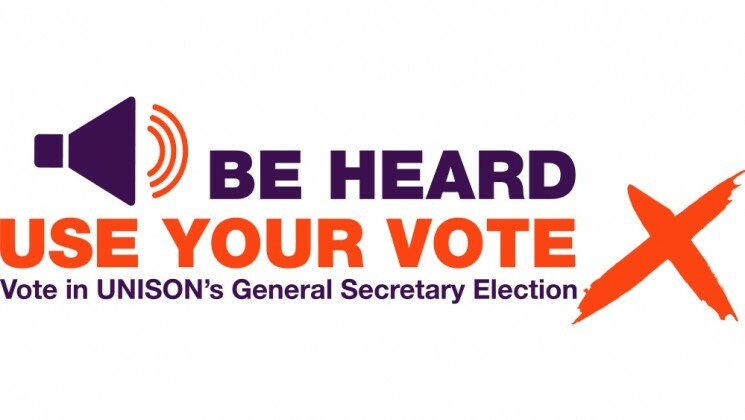 Please confirm your attendance by emailing unison@sheffield.ac.uk if you haven’t already done so. 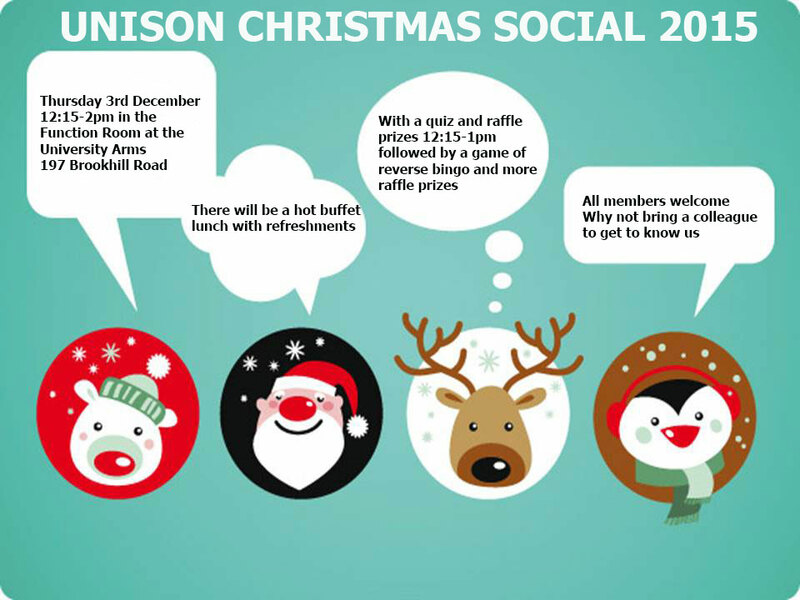 UNISON diaries will be available for collection at the Christmas Social event being held on 3 December in the Function Room at the University Arms. 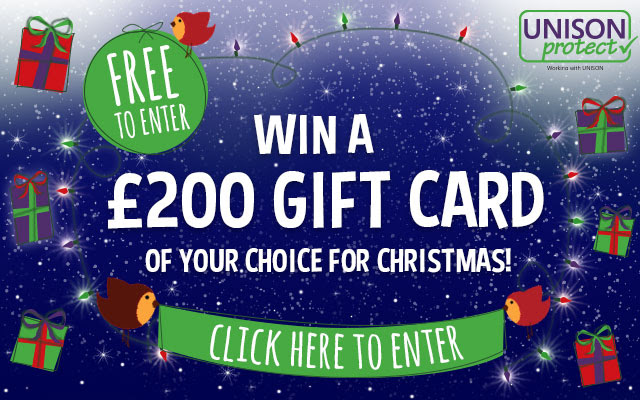 UNISONProtect is kicking off the countdown to the festive season with a chance to win a £200 gift card to spend at a retailer of your choice this Christmas! Use it as a helping hand towards family presents, to stock up on festive provisions or simply as a well-earned treat for yourself so enter today for your chance to win.